The potential for Fuel Cell and hydrogen technologies to transform our energy and transport systems is increasingly well recognized. Fuel Cell technologies come in various types and can use a range of fuels, including hydrogen and numerous hydrocarbons. Additionally, Microbial Fuel Cells (MFC) use living microorganisms as catalysts to directly generate electrical power from the chemical energy available in biomass, wastes and effluents and this power may be used externally as a power source. Despite the wide variations in design and process, fuel cells are generally characterized by high electrical and thermal efficiency. Moreover, fuel cell technologies are available in a substantial range of sizes from watts to MW and hence can have an important role in transforming energy efficiency at building scale, from various effluent streams and at multi-MW scale. This work package will address a number of the research, development and deployment issues associated with fuel cells for stationary application. To facilitate some of this activity, a new fuel cell test facility will be set up at the USW Hydrogen Centre in Baglan, primarily funded by industrial partners. This will enable a range of R&D and testing activities to take place, and provide a basis for further R&D grant applications, particularly with industrial partners such as ITM Power and Intelligent Energy. As the current commercially available fuel cells offer such promise for improving energy efficiency, the project will also identify opportunities for deployment of industrial scale fuel cells and fuel cell installation within communities and buildings to realize ultra-high efficiency CHP. As a unique area of promise, Microbial fuel cell R&D will also be included as part of this work package. Acknowledging that this technology is at an earlier stage of development compared to other fuel cell technologies, there is a significant opportunity to secure R&D funding with academic and industrial partners to address the major challenges in the development of MFCs. Finally, there is significant common ground between many possible fuel cell feed streams and those that could supply gas turbines. As a result the activity will explore mechanisms to optimize recovery from these feed streams. a)	Develop a new fuel cell testing facility at the USW Hydrogen Research Centre at Baglan, with industrial partners. b)	Initiate fuel cell R&D based on this facility and, with industrial partners initiate a programme to address key developmental challenges. c)	Develop and identify opportunities for industrial deployment of medium to large fuel cells in Wales, particularly addressing high temperature FC technologies and seek development and demonstration funded projects to implement. 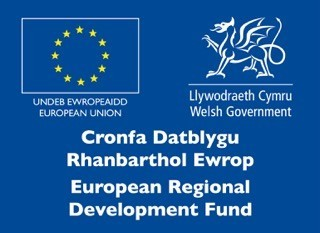 d)	Develop and identify opportunities for building and community scale fuel cells as high efficiency CHP in Wales and seek development and demonstration funded projects to implement. e)	Investigate the tolerance to impurities with a range of SOFC cells, to assess the ability of these to efficiently convert biogas/ biomethane and industrial syngas streams to heat and power. f)	Conduct further microbial fuel cell R&D to address the main scientific and engineering hurdles faced by the technology, including effective scale-up of MFC’s whilst maintaining stability. g)	Investigate the integration of MFCs into the bioH2/bioCH4 processes described in USW WP2. h)	Work with Cardiff University to investigate the mutual benefits of syngas and biogas feeds to combustion processes (gas turbines) and fuel cell systems. As a cross cutting approach to the USW led work packages there will be safety, economic and environmental assessment of the technology R&D described above, to ensure the approaches investigated are sustainable.